Optimize your images & speed up your website! Your images are automatically optimized while keeping their quality. 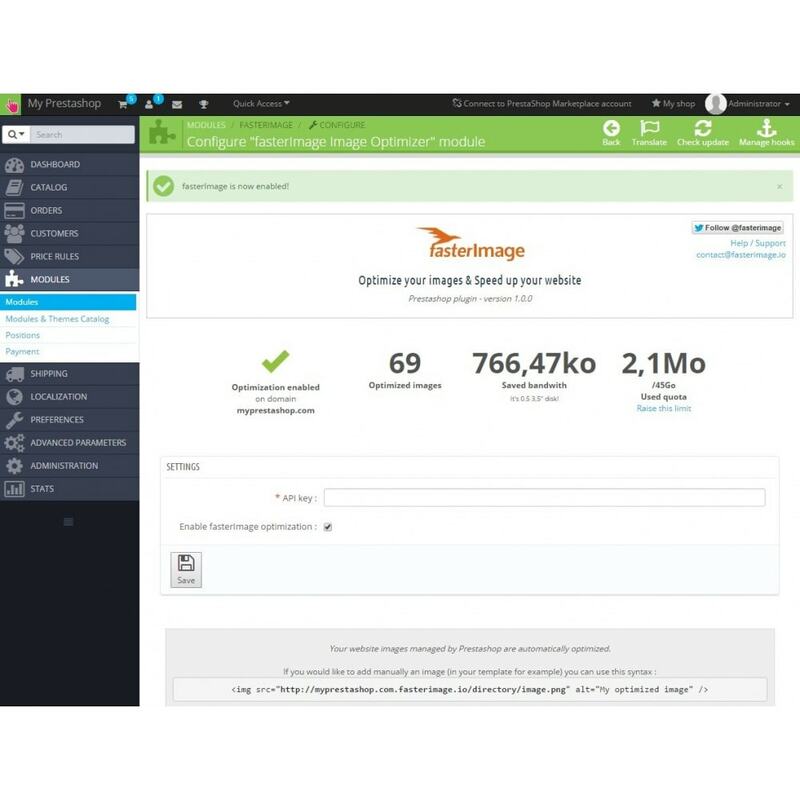 62% of your website assets are pictures, with fasterImage you will easily reduce their size (without changing their quality) et speed up the loading time of your pages. 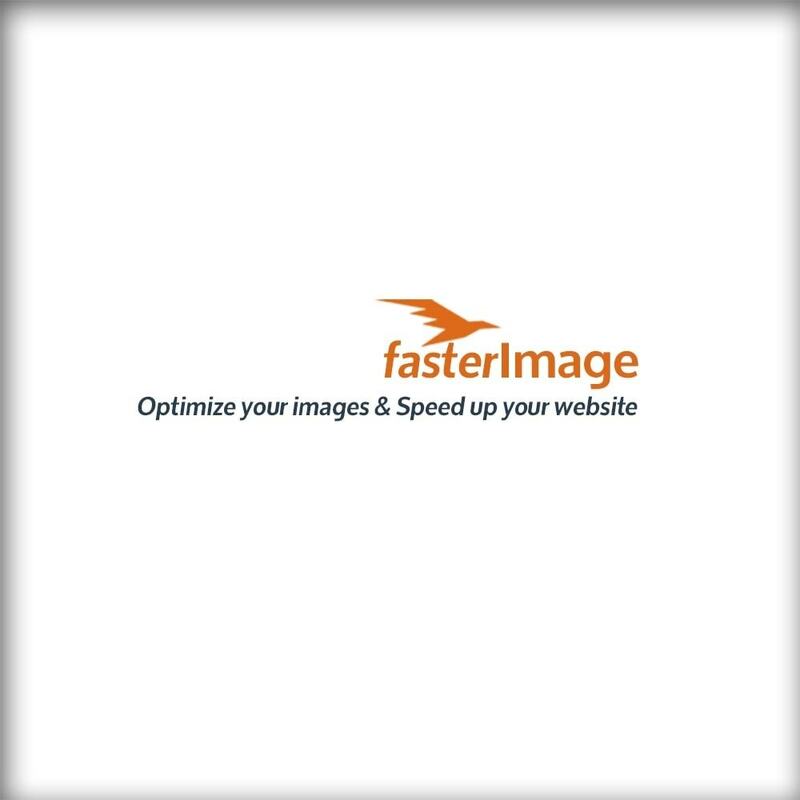 fasterImage is an online optimization tool, it can be enabled or disabled at anytime without breaking your website. While speeding up your website, you will increase your conversion rate and raise your sales. Your mobile users will thank you too! fasterImage supports pictures in JPG, GIF, PNG and WebP. La solución más intuitiva para poder rápidamente visualizar los costos de libración de los puertos contextualizados. Create a free account on fasterImage. 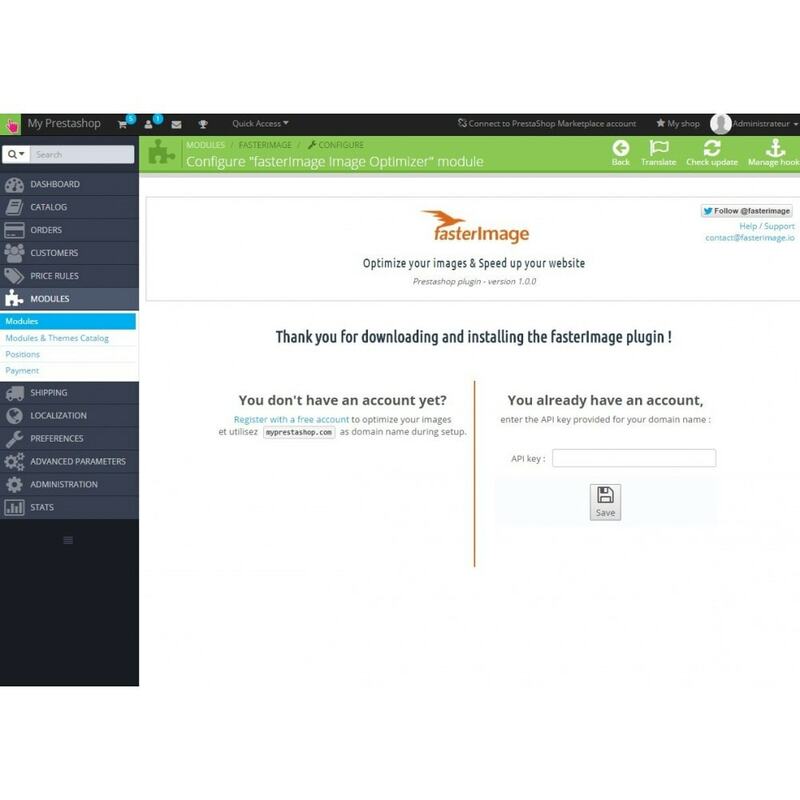 Enable the optimization in the settings page of the module, you will need yo provide the API key that will be given by fasterImage when you create your account.